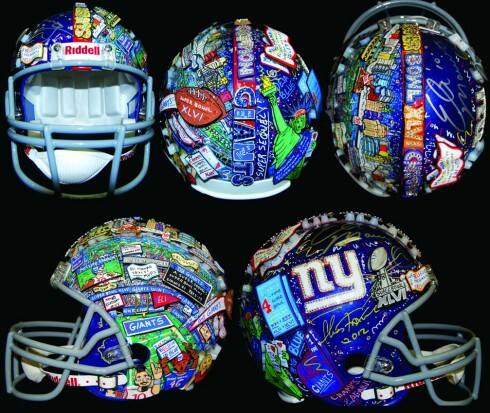 I just completed this 3D hand-painted football helmet tribute to Eli Manning. It’s signed by Eli and I’m happy to be able to present it to you on the heels of another heroic effort by my favorite quarterback! I’ve had the good fortune to meet Eli a few times and he is just the most down-to-earth and talented guy, truly worth of all of the praise that is now being heaped upon him. I truly hope this helmet ends up in the hands of a TRUE Eli Manning fan! I’ve been hand-painting sports equipment pieces since the 2003 Major League All-Star Game in Chicago. 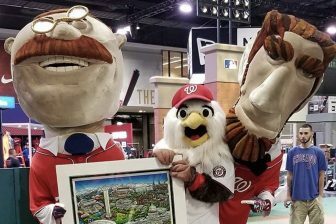 I started with baseballs and then naturally evolved to helmets (both football and baseball). Admittedly, I was skeptical at first about how these 3D “sculptures” would turn out. It was a complete experiment. But over time, I’ve really gotten a feel for how my artwork can translate to these objects. 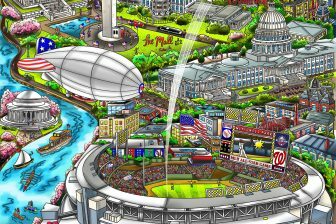 I’ve even been asked by Major League Baseball to paint some of the commemorative on-field home plates for both the All-Star Game and the Home Run Derby. A few years ago, I started combining my artwork on equipment with player signatures and that turned on a whole new collector base to my artwork. 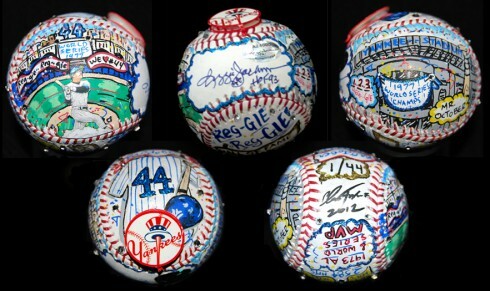 I’ve done baseballs featuring the signatures of Mickey Mantle, Derek Jeter, Hank Aaron, David Ortiz…and of course, my friend Reggie Jackson. I love when the signed baseballs come across my desk because I can really hone in on that player’s career. 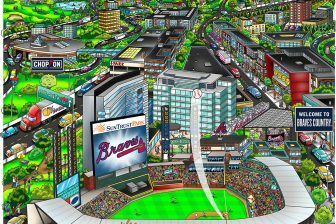 My goal is for the baseball to actually take on the personality of the player along with featuring the career exploits.